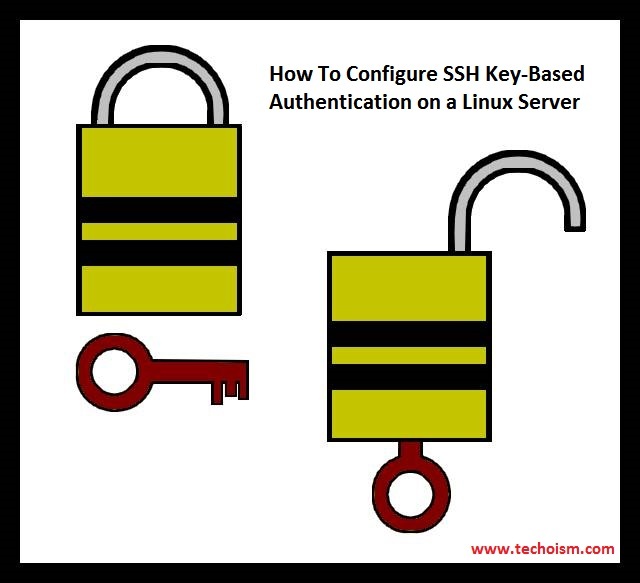 SSH Key-Based Authentication allows users to SSH into the server without entering their passwords. SSH keys are additionally more secure than passwords because the private key used to secure the connection is never shared. Private keys can also be encoded so their content can’t be read as easily. While SSH passwords are not required once keys are set up, passwords for decrypting the private keys locally are as yet required. To improve the system security even further, you can enforce key-based authentication by disabling the standard password authentication. We can create RSA keys for use by SSH protocol version 1 and DSA, ECDSA, ED25519 or RSA keys for use by SSH protocol version 2. Then we need to copy the public key to our remote server. Here I am choosing the default non-root user as remoteuser but you can use the root user also. Use below command to copy the public key. Now try logging into the machine, with   "ssh '[email protected]'"
It will create the authorized_keys file at user .ssh directory. 1. Copy the public key. 2. Access the remote server and follow below steps to copy the public key in user home directory. Now, you can create or modify the authorized_keys file within this directory. And change the authorized_keys file permission. After completing the above procedure, you should be able to login to the remote host without the remote user’s password. Now it will ask the passphrase which we set at the time of creating the public key. We hope this article will be very helpful you.